Looking back at the African-American Cultural Center’s roots as it turns 50. PHOTOS: Afro-American Cultural Center, Organizations and Clubs Vertical File (RG 01.0015.004), University Archives, the University of Iowa Libraries Students gather in front of the Center, 303 Melrose Ave., in this undated photo likely taken between 1976 and 1980. Editor's note: In Old Gold, University archivist David McCartney looks back at the UI's history and tradition through materials housed in University Archives, Department of Special Collections, University of Iowa Libraries. For black students who attend a predominantly white university, the isolation of feeling alone in a crowd can be overwhelming. While black fraternities and sororities helped to address this concern as early as the 1920s, demands for a UI community center accommodating all black students rose by the 1960s. Such a center at last became reality in 1968. 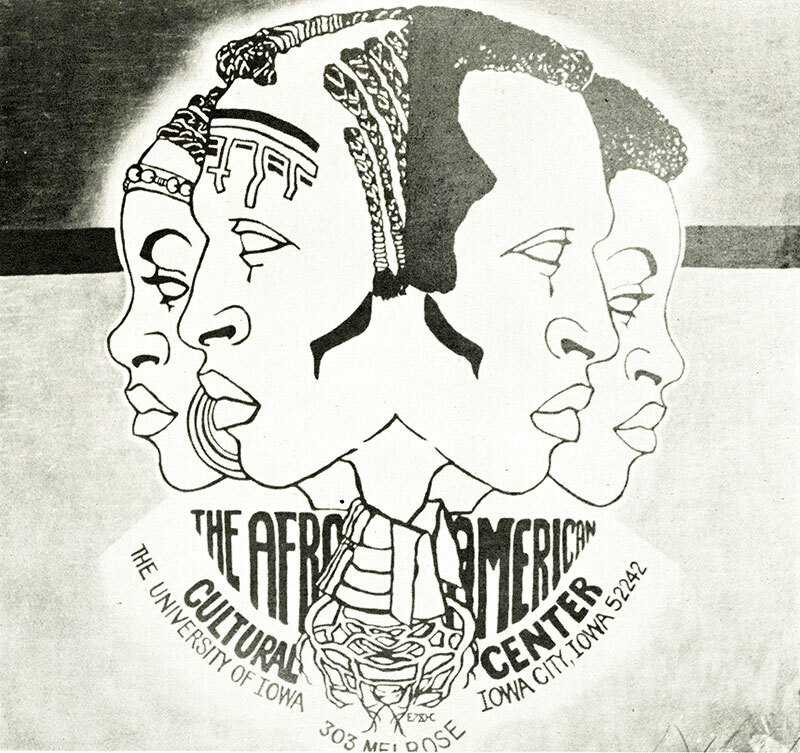 In the spring of that tumultuous year, the university’s Committee on Human Rights recommended establishment of an Afro-American Cultural Center. 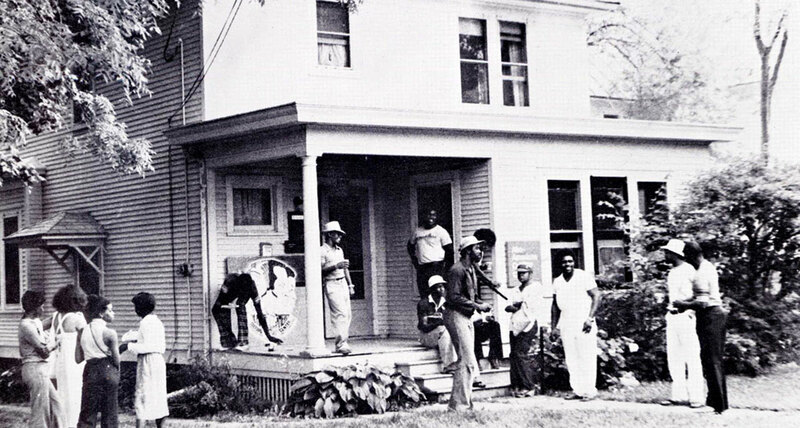 During Homecoming weekend, Oct. 11-12, 1968, the AAC opened its doors, a house at the corner of North Capitol and Market streets that had been purchased by the university. In 1976, the AACC moved to its present-day location at 303 Melrose Ave.
A 1978 poster advertising a children’s workshop. One year later, facing growing demands to improve the campus climate, the committee approved creation of the center, intended to serve as a study, social, and activity center for black students. Philip G. Hubbard, dean of academic affairs who later became the first African American vice president at a Big Ten university, endorsed the initiative. Since its inception, the AACC has hosted events and programs not otherwise offered specifically to black students or to the larger campus community. In the University Archives’ AACC folder in its Organizations and Clubs Vertical File (RG 01.0015.004), a 1978 flyer advertising a children’s Saturday workshop provides a glimpse into the center’s long history of service and activity. A half-century is a remarkable milestone, and the center—one of the first of its kind among U.S. colleges and universities—paved the way for other centers to open in the years to follow at the UI: the Latino-Native American Cultural Center, the Asian Pacific American Cultural Center, and the LGBTQ Resource Center. Each center brings its own brand of service to the community; it all started during that Homecoming weekend 50 years ago. Learn more about the African-American Cultural Center and how you can support its programming with a donation.